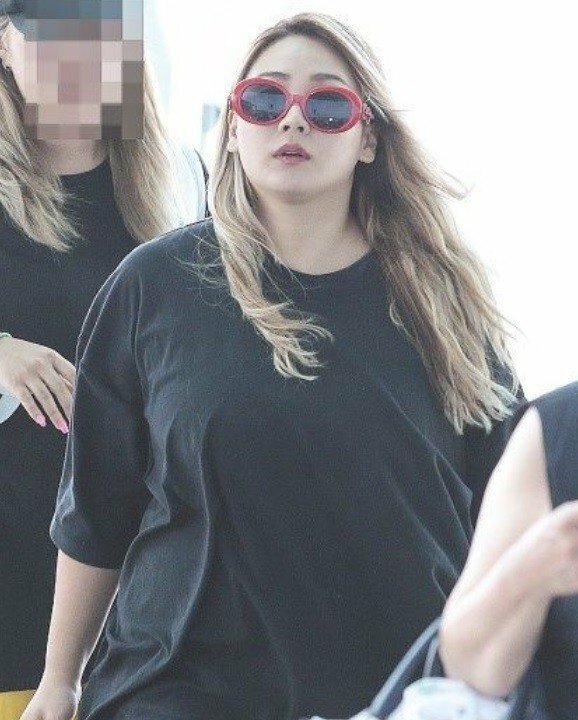 CL is shocking netizens with her weight once again - this time for the loss. On October 27, the former 2NE1 member shared a set of hot photos on Instagram in light of her collaboration with The Black Eyed Peas. With bright, ashy blonde hair, CL shows off her curves in hot pants and boots. Many netizens are expressing amazement at CL's hot looks, especially since she sported a completely different look just a few months ago. In August, CL made headlines for looking heavier than usual at Incheon Airport. Seeing how the star changed in the short period of time, netizens expressed amazement and commented, "That's amazing," "How did she lose that much weight in such a short time?? So amazing," "Her body is amazing," "Is this an old photo? Because this is hard to believe." Meanwhile, CL participated in The Black Eyed Peas' new album. You can check out the "Dopeness" MV here. Its an old pic when she was 25. Even check Harinlee her sister instagram she post a recent picture with CL wearing the same outfit saying it was a throwback picture. Honestly Allkpop im starting not to trust your stories lol. Misguided and unresearched.